Second Republic Vice-President, Dr. Alex Ekwueme, was this morning flown abroad for medical treatment. 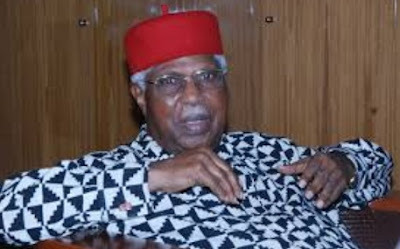 Ekwueme has been hospitalised for about three weeks at Memphys Hospital of Neurosurgery, Enugu. A white air ambulance, with registration number N605 AJ, which flew the elder statesman out of the country, departed the Akanu Ibiam International Airport, Enugu, around 8:30 am.